This 4 hour classroom-only course (no live fire or test required) far exceeds the application requirements for the most sought after and desired permits in the country. Additionally, this course far exceeds the requirements for an Oregon permit. It is important to understand that a multi-state concealed carry permit does not replace your home-state concealed carry permit. Non-resident concealed carry permits issued by states like Arizona, Utah, and Florida are referred to as “multi-state” permits because the permits are recognized by and allow legal concealed carry in at least 30 states (see map below). A few of our clients choose to apply for more than one multi-state permit, but it is NOT necessary to apply for more than one multi-state permit. 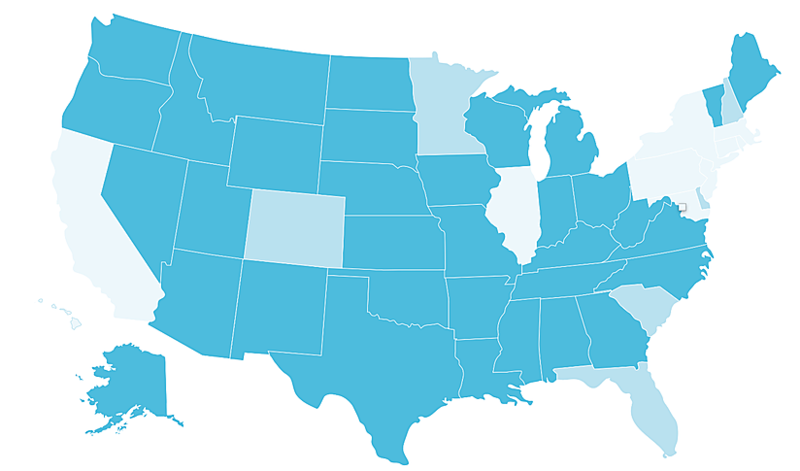 We encourage our clients to apply for whichever multi-state permit affords them coverage in the most states possible — this is dependent on your state of residence. During your class we will talk with you individually to help you decide which multi-state permit is best for you. Most of our clients that are WA residents choose apply for the Utah multi-state permit and the Oregon permit (Oregon accepts only their own permit so if you want to travel with your concealed carry handgun to or through Oregon, you will need to apply for the Oregon permit). Unfortunately, there is considerable confusion and misinformation about whether or not Oregon will issue permits to out-of-state residents. Hopefully this brief background on the topic will clear the confusion. Oregon’s Revised Statutes stipulate that Oregon is a SHALL ISSUE state to residents of Oregon and to residents of bordering states (WA, ID, NV, & CA) and until early 2016, Oregon counties issued permits to residents of bordering states in accordance with Oregon statutes. As a reaction to the Roseburg shooting, the Oregon Chiefs & Sheriffs Association voted to stop issuing permits in accordance with state statutes (which is a violation of OR’s statutes), and in early 2016 some counties stopped issuing permits to residents of bordering states. Thankfully, many sheriffs continue to issue permits in accordance with Oregon statutes and we work closely with several of these counties. During your class, we will explain which Oregon counties we recommend you apply through. During your course, we do a lot more than just cover the course curriculum, as we also provide: both multi-state applications; three completed fingerprint cards; 2×2 photos; required copies; proof of training certificates for both multi-state permits; training certificate to apply for an Oregon permit; and pre-addressed envelopes. ​The only thing you will need to do after taking this course is include the state background check fee, affix adequate postage, and relax while you wait for your permit to arrive in the mail. Please note that the state background check fee is separate from the course and is paid directly to the state — see the FAQ page for details. During your multi-state permit course, we show you several simple, proven methods to help you remain continually aware of the states in which your permits are valid. Concealed carry permit reciprocity and recognition between states continually changes. It is imperative that you investigate the reciprocity that accompanies your permit(s) before traveling with your firearm. DO I HAVE TO APPLY FOR ALL THREE MULTI-STATE PERMITS? Although we will complete all of the certifications and documentation necessary to apply for 3 different multi-state permits and the Oregon permit, you do not need to apply for all three permits. During your course, our instructors will help you decide which permit(s) will be most beneficial for you to have based on your lifestyle. WHAT WILL TAKING THIS CLASS DO FOR ME? WHY OFFER A MULTI-STATE PERMIT COURSE? *Oregon accepts only their own permit - which means if you want to carry to or through Oregon you will need an Oregon permit. How can I safely carry a handgun in my purse? Is there a type of holster that works for women to carry on body? Is it legal to carry a loaded handgun in my vehicle? Is it legal for a non-permit holder to carry a loaded rifle in public? What about a loaded pistol? How can I travel by plane with my conceal carry handgun? When am I legally allowed to use lethal force to protect myself or a loved one? What is the “castle doctrine” and how does it impact me? What do I do if I am carrying concealed and I notice a “gun free zone” sign? Is it legal for permit holders to carry concealed in state or national parks? As a permit holder, can I sit in a restaurant’s bar with a friend while she enjoys a glass of wine? Can I take my handgun with me on a road trip if my route takes me through a state where my permit is not recognized? 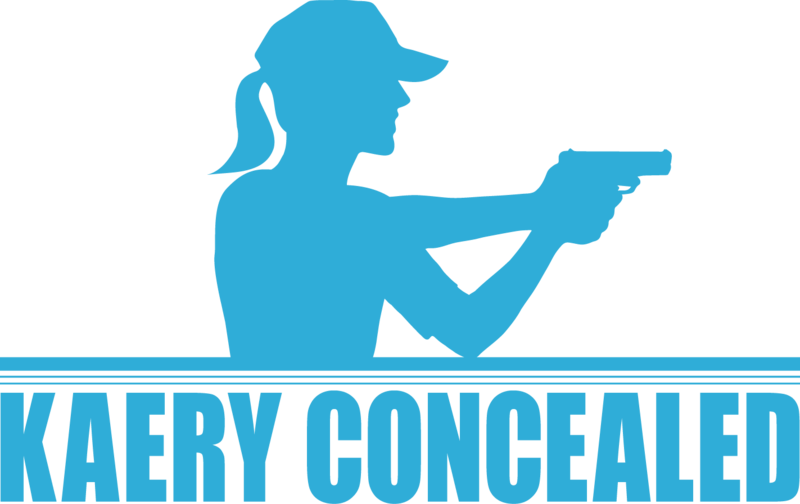 How can i conceal carry and live an active lifestyle? What is “constitutional carry” and if I am traveling to a constitutional carry state, do I need a concealed carry permit for that state? How do I store my firearms so they are quickly available, yet inaccessible to children? If I am carrying concealed and I get pulled over by police, what do I say to the police officer? How can I stay up to date on permit reciprocity agreements between states?